Brief Information :- State Bank of India (SBI) Clerk Vacancies recruitment has announced officially online registration forum is now rollout and State Bank of India (SBI) Clerk Vacancies recruitment 2019 updating in this post. 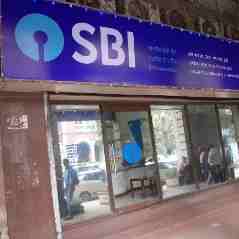 Interested candidates can apply for this job post please read the eligibility criteria and qualification details in below the table carefully State Bank of India (SBI) Clerk Vacancies posts list pdf also available There are many vacancy available in State Bank of India (SBI) Clerk Vacancies. Payment can be done with online transactions opening and closing date are also provided into table. Also age limit is mentioned if having any question or facing a problem please contact us we will reach out you shortly. Comment below in the section. Mode of Payment: Debit card/ Credit card/ Internet Banking facility Available. Graduation or its equivalent in any Sector. For Sallaybus, Eligibility Criteria, Selection Process Refer To PDf File Above.